Andrew McCabe, a 17-year FBI veteran and formerly assistant director of the counterterrorism division, has been promoted to executive assistant director of the bureau’s national security branch. McCabe was certified by the national intelligence director as a senior intelligence officer in 2010 and received the FBI Director’s Award in 2009 for his work on the inauguration of President Barack Obama in 2009, the FBI said Wednesday. Prior to his most recent role, he served as deputy assistant director of the counterterrorism division starting in May 2011 and led the bureau’s international terrorism investigation program. 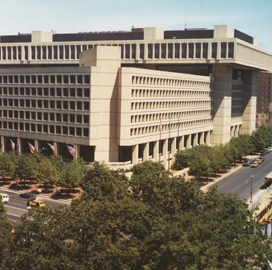 For the prior two years, he led the FBI’s High-Value Interrogation Group as its first director. assistant section chief of an FBI organization responsible for counterterrorism investigations in the U.S.